PRICE REDUCED !! MUST SELL !! LOWEST PRICED LISTING IN DESIRED GARDEN LAKES. 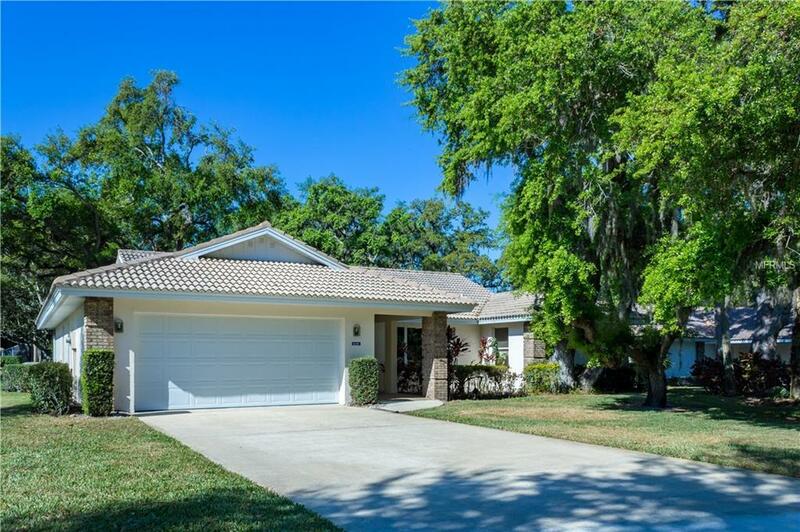 Must see, spacious, 3 BR, 2 Bath, home in beautiful gated, Garden Lakes, maintenance free, 55+ community. Enjoy the active lifestyle less than 1/2 block to clubhouse with heated pool, fitness room, tennis courts, shuffleboard, and many activities. New barrel-tile roof in 2008. 3M hurricane glass shield protection on windows. Kitchen counters upgraded with Cambria Nat'l Quartz in 2008. Water Heater new in 2015. Garage door and opener replaced in 2014. Family room and dining room have a cathedral ceiling. Sliders open from family room to screened room for an open feel. Sliders out to the landscaped garden area. 3rd BR has served as an office and has built-in wall cabinets. Great opportunity to personalize updates as you wish.This community has beautiful, mature, oak trees and is nicely landscaped. UPDATE: WALLPAPER IN KITCHEN AND BATHROOMS IS BEING REMOVED, AND INTERIOR OF HOUSE IS BEING REPAINTED.Come take a look! Make an offer!